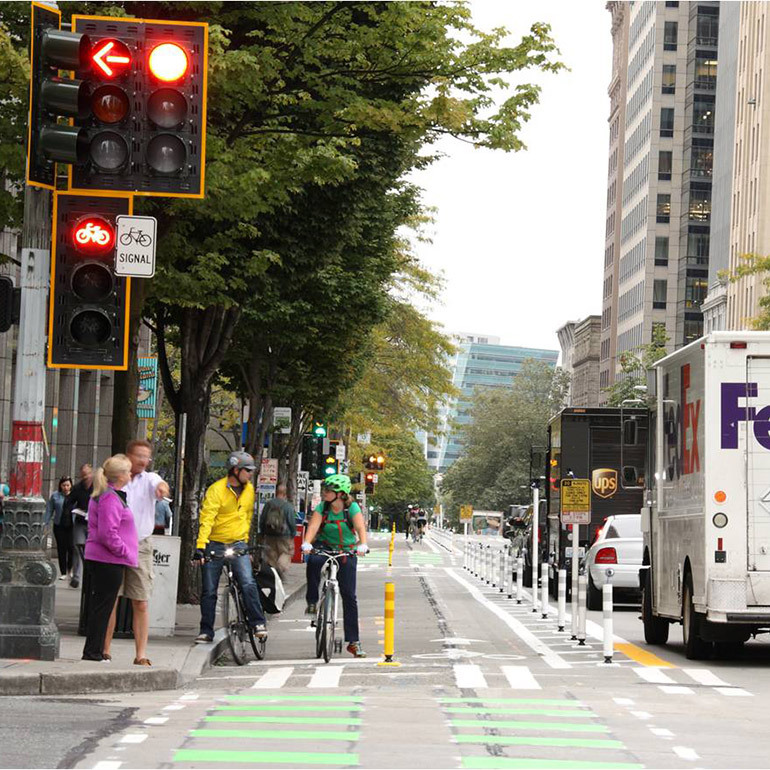 Seattle’s Second Avenue protected bicycle lanes create a physically separate and comfortable north-south connection through downtown, the start of a complete network. 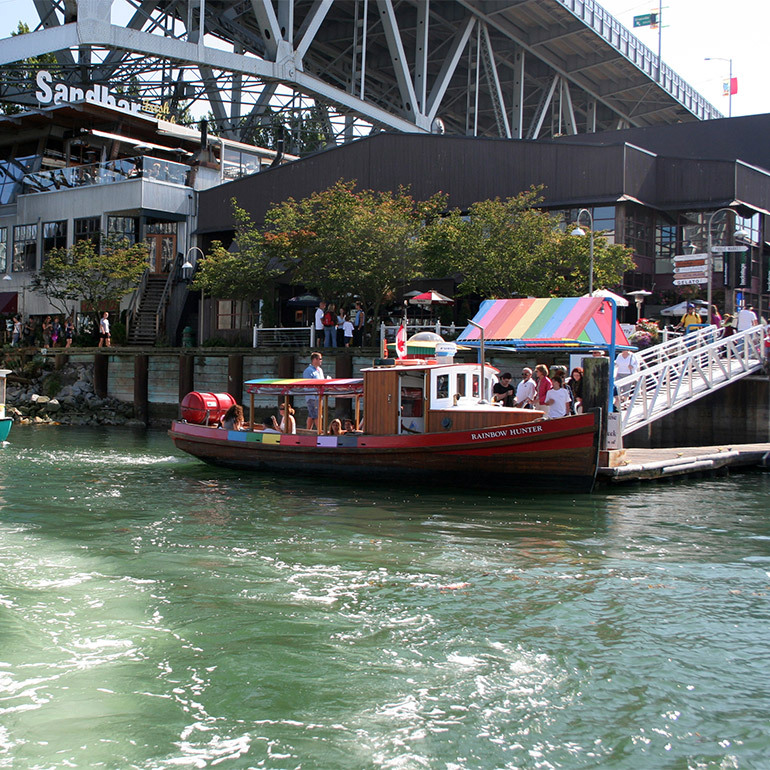 Vancouver's water taxis provide essential transportation services for commuters and tourists alike. Travelers may carry-on bicycles, strollers, and wheelchairs for a multimodal and accessible experience. 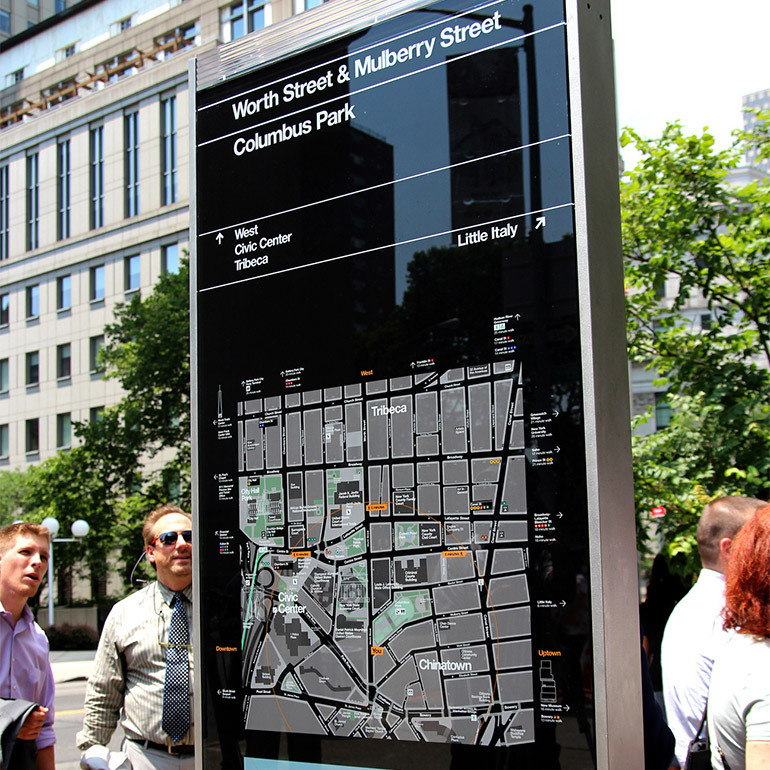 WalkNYC in New York establishes a standard for pedestrian wayfinding, creating a legible network and system for people walking and finding the most pleasant pathways.